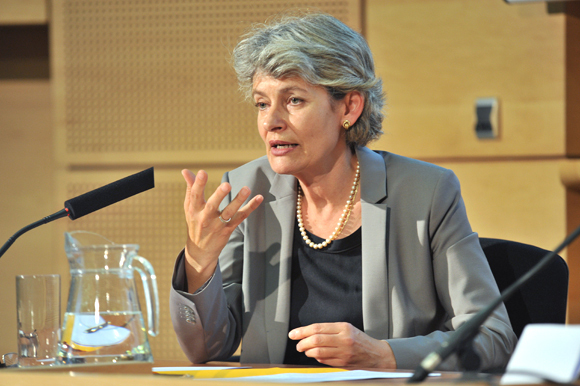 Irina Bokova has been the Director-General of UNESCO since November 2009. She is the first woman to lead the organisation. Ms Bokova has served as Bulgaria’s Secretary of State for European Integration, Minister of Foreign Affairs, Ambassador to France and Monaco and Permanent Delegate to UNESCO, among other positions. She has been actively engaged in international efforts to advance quality education for all, gender equality, human rights, cultural dialogue and scientific cooperation. She also serves as Executive Secretary of the Steering Committee of the UN Secretary-General’s Global Education First Initiative. This entry was posted in News, Partners by Ricarda. Bookmark the permalink.